Many Americans use medical treatments that are not part of mainstream medicine. When you are using these types of care, it may be called complementary, integrative, or alternative medicine. This is often referred to as CAM. Complementary medicine is used together with mainstream medical care. 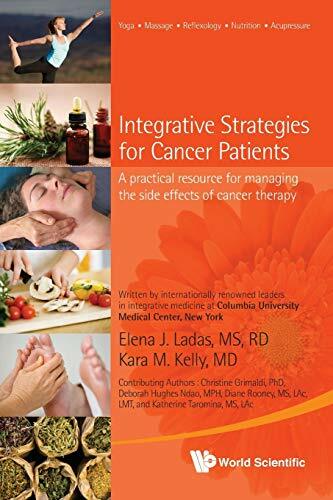 An example is using acupuncture to help with side effects of cancer treatment. Integrative medicine is when health care providers and facilities offer both complementary and mainstream medical care. Alternative medicine is used instead of mainstream medical care. The claims that non-mainstream practitioners make can sound promising. However, researchers do not know how safe many of these treatments are or how well they work. Studies are underway to determine the safety and usefulness of many of these practices. Discuss it with your doctor. It might have side effects or interact with other medicines. Since complementary and alternative medicine can encompass a wide range of practices, this guide will only provide an overview along with tips on how to evaluate CAM. If you would like assistance doing research on a specific CAM practice, please visit the Cancer Resource Library and a staff member would be happy to assist you. You can also reach us at (805) 879-5648 or library@ridleytreecc.org. OCCAM is an office of the National Cancer Institute (NCI) that is responsible for NCI’s research agenda in complementary and alternative medicine as it relates to cancer prevention, diagnosis, treatment, and symptom management. The National Center for Complementary and Integrative Health (NCCIH) is the Federal Government's lead agency for scientific research on the diverse medical and health care systems, practices, and products that are not generally considered part of conventional medicine.